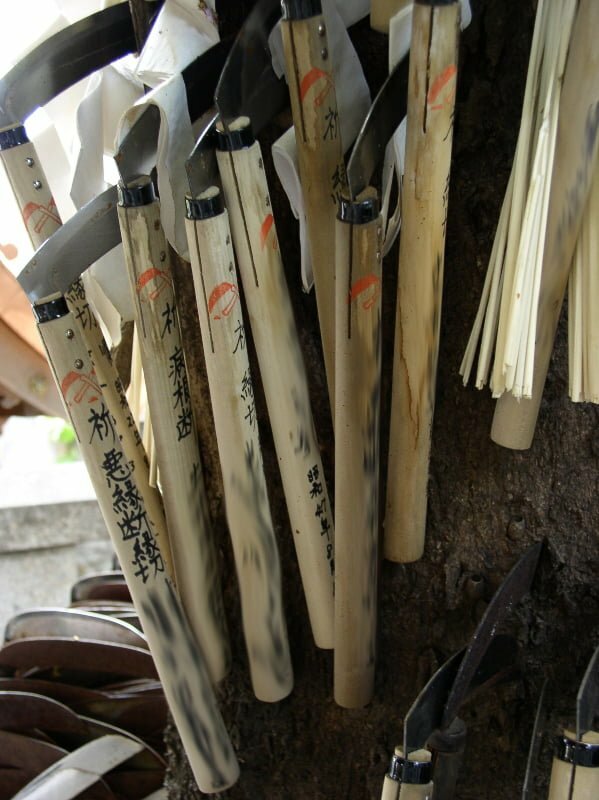 Kama Hachiman Jinja is what is known as an engiri (karma cutting) shrine. If a person thinks that they have an undesirable karmic connection with a person, he or she sometimes go to an engiri shrine to sever their connection with the individual. 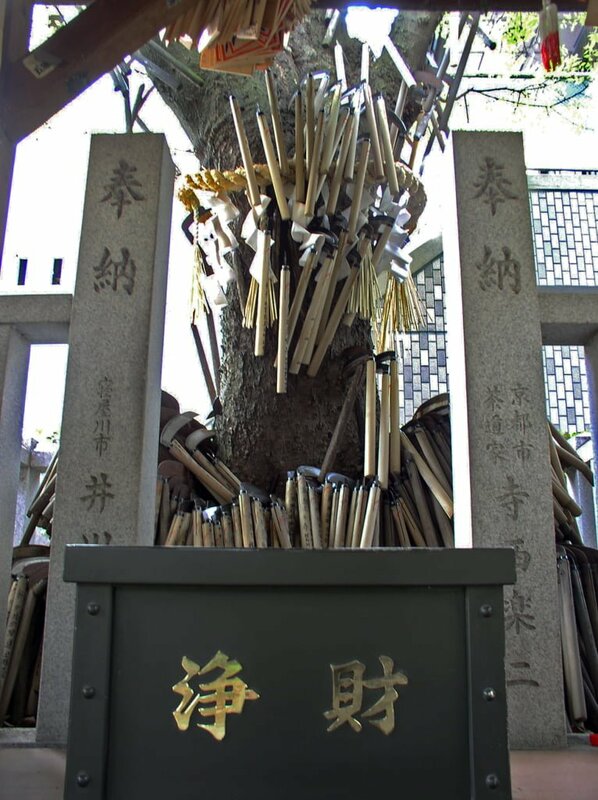 This shrine in Osaka has thousands of kama (sickles) that people stick in a huge old tree to escape from people they don’t want in their lives anymore. 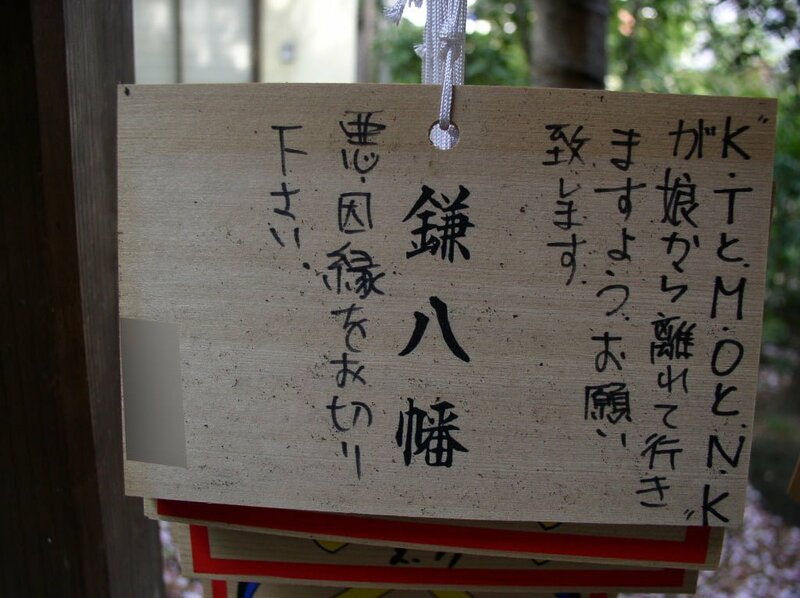 It is said that in ages past, there was a sacred tree on the spot, and that the Nobushige Sanada (1567–1615) visited there to pray for success in a battle. He stuck a kama into the tree, invoking the god Hachiman and afterwards went on to win a great victory. The shrine is believed to cure headaches, asthma, haemeroids, and other sicknesses. People also go there for exorcisms, to get rid of evil spirits, to improve bad luck, and to break relationships with people they don’t want in their lives anymore.